A 25 year-old male with no significant past medical history presented to his primary care physician complaining of a constant, throbbing left parietal headache for four to five days. He also had intermittent, generalized sweating accompanied by chills, fatigue, malaise, myalgias, and arthralgias for two to three days. Ten days prior, the patient had returned from a trip to India. 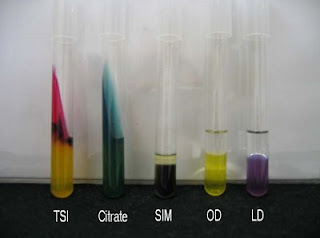 Laboratory testing revealed normal electrolytes with a BUN of 11 mg/dL and creatinine of 1.4 mg/dL. White blood cell count was 3,800/cu mm with a normal differential. Alanine aminotransferase was 48 IU/L and aspartate aminotransferase was 50 IU/L. A chest x-ray was normal. Serologic tests for Epstein Barr virus and Borrelia burgdorferi were negative. The following day, the patient's symptoms persisted and he presented to the emergency department. At this time, the patient also revealed that he had three days of watery diarrhea toward the end of his time in India. It was non-bloody with no mucous. He ate at restaurants fifty percent of the time during his trip. He denied any abdominal pain, fever, or chills at that time. In the emergency department, he was febrile to 39.5 degrees Celsius and tachycardic with a heart rate up to 120 beats per minute. His physical examination was otherwise unremarkable. He was mildly pancytopenic with a white blood cell count of 2,800/cu mm, hemoglobin of 12.1 g/dL, and a platelet count of 145,000/cu mm. A malaria smear was performed and was negative. He was admitted for observation. Prior to initiating empiric therapy with ciprofloxacin, blood cultures were drawn. 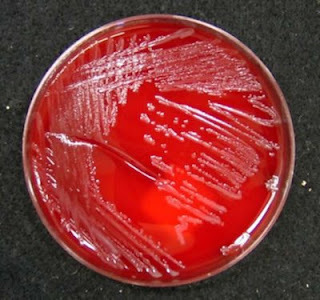 An organism was isolated in blood culture. 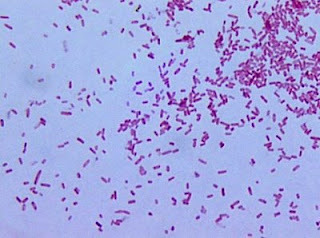 Gram stain and Biochemical characteristics are shown in images (OD, Ornithine decarboxylase; LD, Lysine decarboxylase).